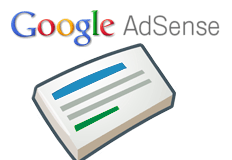 A Google AdSense Help thread has some AdSense publishers acting concerned over noticing a message indicator showing one unread message but when they click through, there are no messages waiting for them. On my main Adsense page on the left it says "Messages (1)". However when I click on the link, it does not show me any new messages. This has me on edge because I don't know if this is an important message that I'm missing, or there is no message at all, and it's just some kind of glitch. Some are very concerned, which boggles me since those messages are rarely important. I personally do not see the issue and my messages read as zero but who knows how many are affected. There are a handful of reports about this.